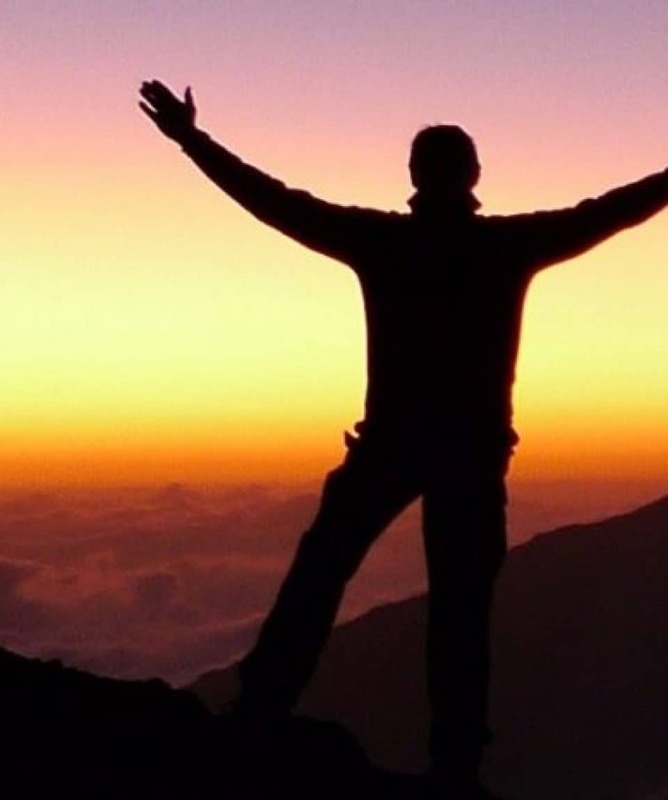 Climb Elbrus and enjoy mountain climbing on one of the Seven Summits. Discover the wonders of St Petersburg and Moscow. 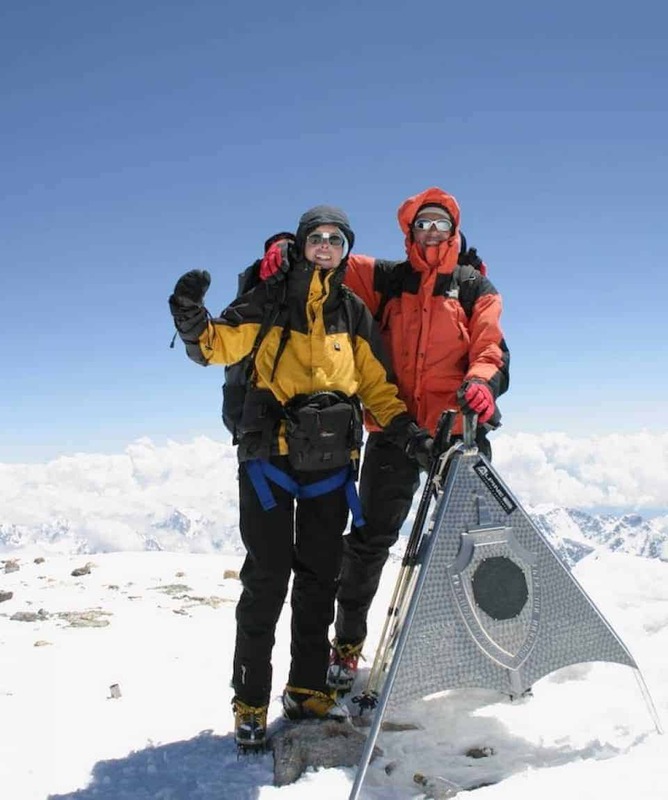 Experience ton-Technical moderate-altitude mountaineering, as we attempt to summit Mount Elbrus. All about the Summit Elbrus 5,642m, 12 Days, Climb Mount Elbrus, Russia. 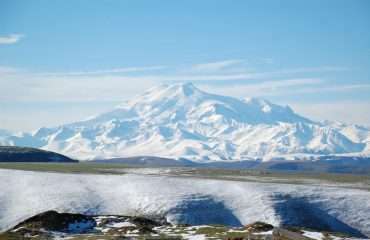 Mount Elbrus is a giant dormant volcano separating Europe from Asia. 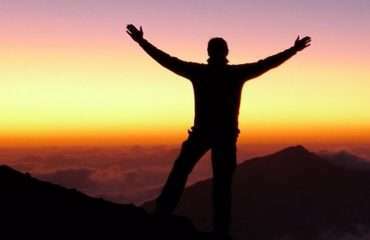 It is the highest peak in Europe and is an appropriate objective as your first or second of the Seven Summits. We begin the Climb Mount Elbrus expedition in St Petersburg where we visit the art galleries, museums and architecture of this magical city. A travel day delivers us to the Elbrus region where we climb the local hills to aid our acclimatisation. 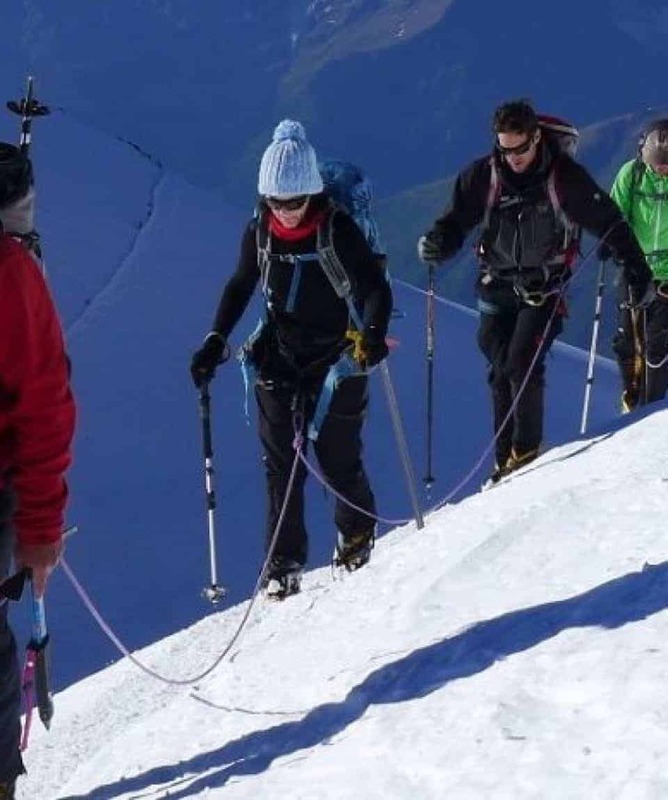 Being relatively high, Elbrus demands respect and we approach this by climbing higher each day during our acclimatisation phase whilst sleeping at lower elevations at night. A cable car takes us up to accommodation at the base of the Elbrus climb where you can learn basic snow and ice techniques from the guides prior to the ascent. 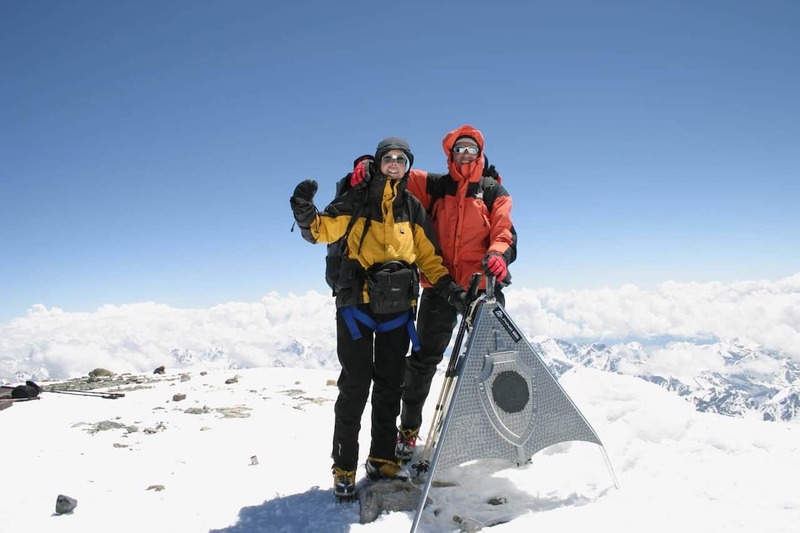 The Elbrus summit day entails climbing long snow slopes with views over the wooded valleys to the surrounding peaks. 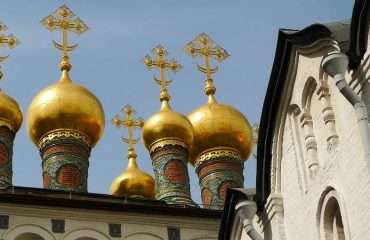 After we climb Mount Elbrus, we travel to Moscow, an iconic European city steeped in history. Excess baggage charges over 20kg allowance on domestic flights. Arrive St Petersburg, Russia. Team meeting, gear check and welcome meal. St Petersburg tour. We tour around this remarkable city to view the incredible architecture and visit the Hermitage Museum; famous for its array of art classics. Later we explore the remarkable Peter and Paul Fortress. Depart St Petersburg for the flight to Mineralnye Vody. Travel by coach to Terskol in the Baksan Valley. Acclimatisation ascent (using ski lifts) of Cheget Mountain, 3,600m/11,800ft. Stay in a local hotel. 4WD to a waterfall (2,700m/8,860ft), acclimatisation hike to Ice Camp (3,700m/8,850ft). Return to hotel. Ride ski lifts and head out for an acclimatisation hike. Overnight stay in the newly renovated Heart of Elbrus hut (3,900m/12,800ft) on the slopes of Elbrus. Acclimatisation hike to the Obelisk. Acclimatisation hike to Pastukhov Rocks (4,600m/15,100ft), return to hut. Summit day. Leave hut about 3 am for the climb of Elbrus’ west summit, 5,642m/18,510ft. Overnight in hut. Contingency summit day. Overnight in hut. Spare summit day, descend to the valley and return to the hotel. Drive to Mineralnye Vody. Fly to Moscow, stay at hotel. City tour in Moscow, visit famous Russian landmarks like the Kremlin, Red Square and enjoy the modern Russian culture to be found in this entertaining city. Arrive Moscow and transfer to the hotel. Team meeting, gear check and welcome meal. Two-hour flight to Mineralnye Vody (Caucasus). Travel by coach to Terskol in the Baksan Valley. Ride ski lifts and head out for an acclimatisation hike. Overnight stay in the newly-renovated Heart of Elbrus hut (3,900m/12,800ft) on the slopes of Elbrus. Summit day. Leave hut about 3 am for the climb of Elbrus’ west summit, 5,642m/18,510ft. Overnight stay in hut. 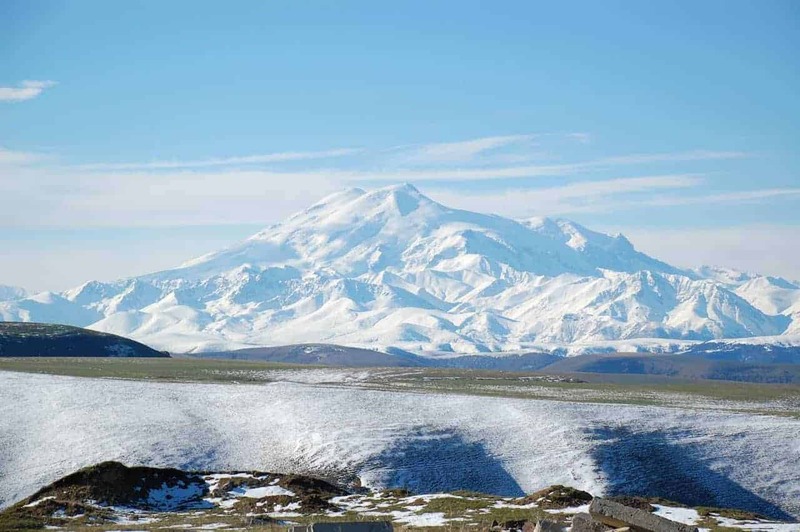 Reserve day for climbing Mount Elbrus. Overnight in hut. Spare Summit Day. Descend to the valley and return to the hotel. Drive to Mineralnye Vody and fly back to Moscow. Overnight in hotel. 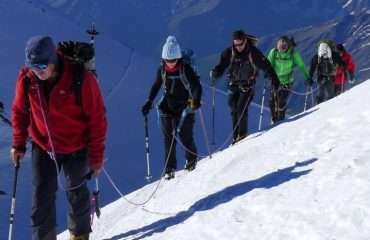 Climbing Mount Elbrus: Short steep sections that will require a rope. Basic snow/ice/rock climbing. We recommend that climbers are familiar with ice axe and crampon techniques and/or basic rock climbing techniques although this can often be taught during the trip.